Majid Majidi’s Tehran-backed production telling the story of Muhammad’s early years to be shown at Iran’s Fajr international film festival. A multimillion-dollar biopic about the childhood of the prophet Muhammad – Iran’s most expensive and lavish film to date – is set to premiere on Sunday. Tehran’s Fajr international film festival, which coincides with the anniversary of the 1979 Islamic revolution, is scheduled to show the country’s own version of how Islam’s most revered figure lived. 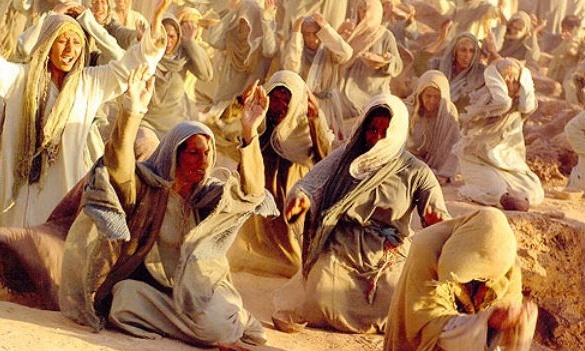 To protect the prophet’s dignity, the film will be shown out of competition. Iran has been a vocal critic of the prophet’s portrayal in the west, recentlyexpressing strong condemnation of the Charlie Hebdo cover cartoon in the aftermath of the deadly attacks in Paris, which depicted Muhammad weeping and holding up a sign reading Je Suis Charlie.